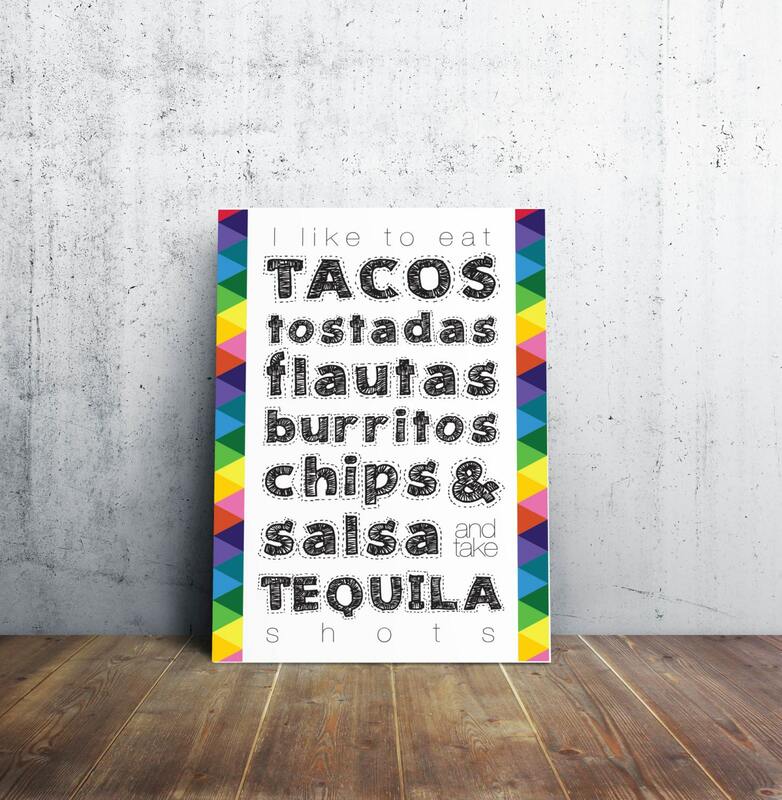 Tacos and Tequila Art Type Poster Print! This poster comes in 3 sizes. Choose one to fit your style. If you like this artwork, you will definitely like my shirt.